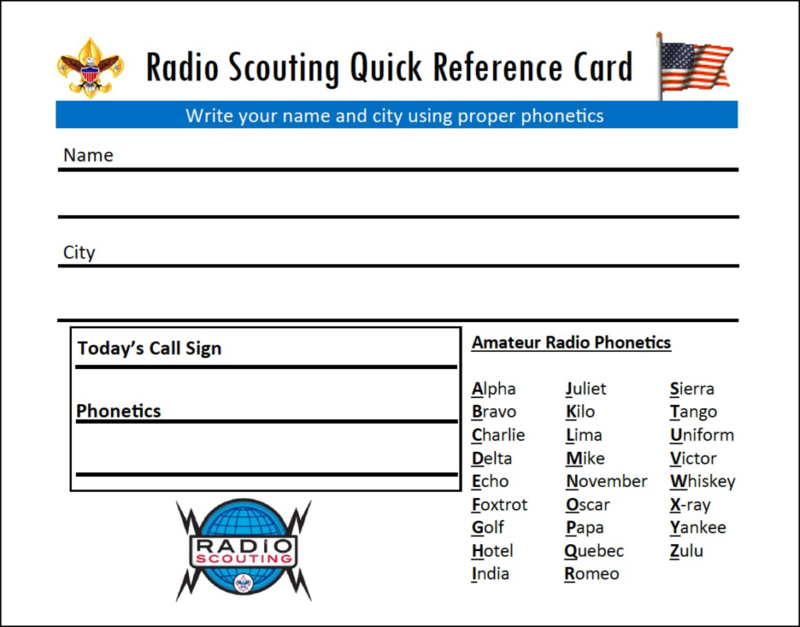 Here's a Radio Scouting Quick Reference Card that can help Scouts get prepared for an on-the-air contact. It has phonetics, Q-signals, and a list of 45 questions to help get that Scout-to-Scout conversation going. It has been provided courtesy of Tom Schuessler, N5HYP, and Chris Shanahan, KE5KPC, who have conducted quite a few Radio Merit Badge classes and several Jamboree on the Air events. In that time, they've become experts on what works when teaching Scouts and getting them on the air. The PDF provides four-cards, double-sided. 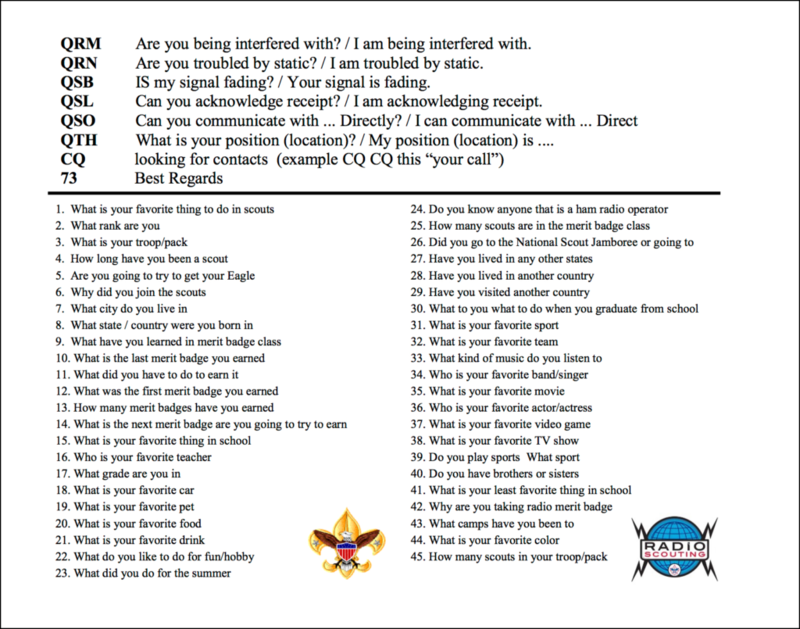 Print it on card stock or heavy paper, cut to size, hand out to Scouts with some coaching, and then get on the air. Thank you Manuel Galindo, XE2GMA / N6GMA for this translation.